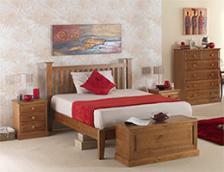 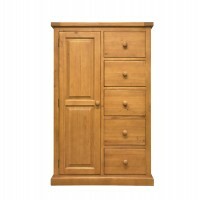 Our bedrooms should be calm, relaxing spaces where we go to recharge after a busy day, so lots of practical and beautiful storage will go a long way towards creating that atmosphere. 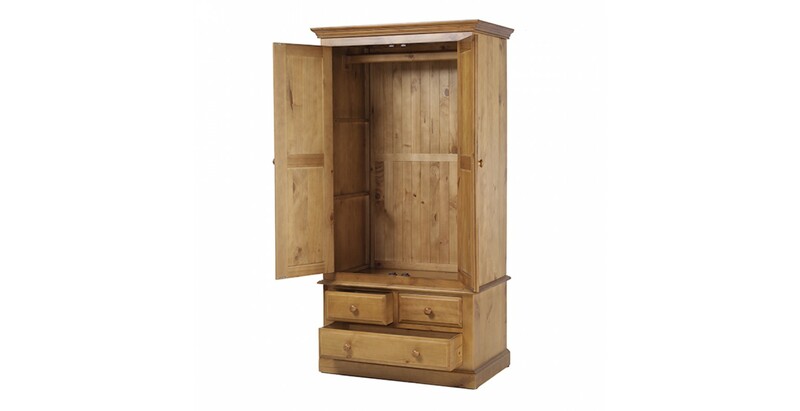 This smart wardrobe offers both in spades. 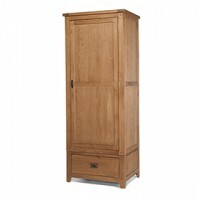 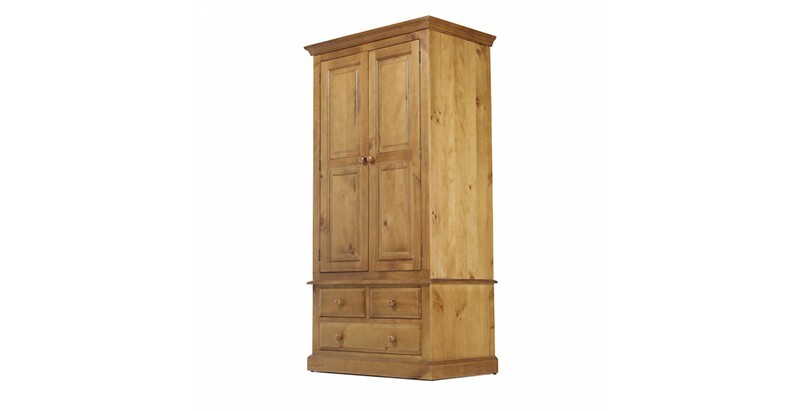 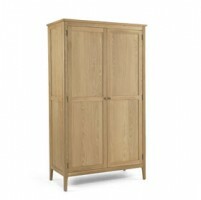 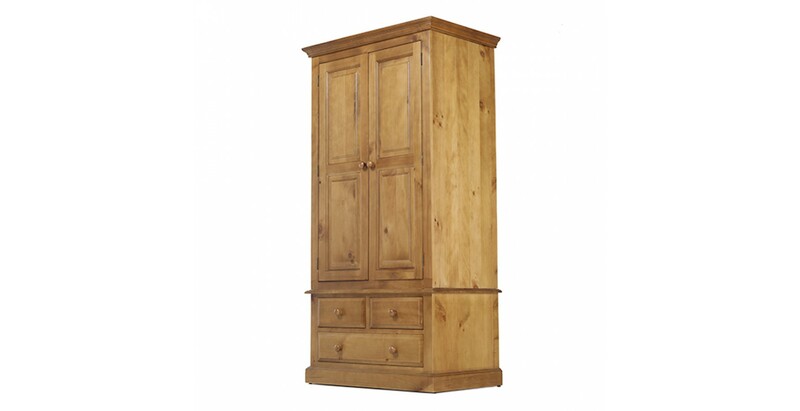 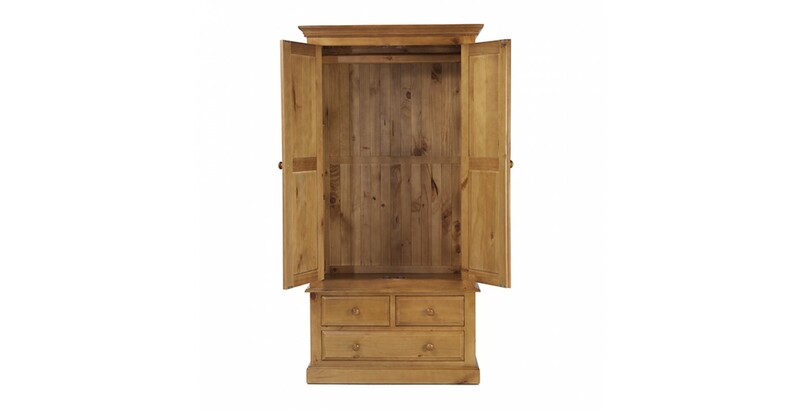 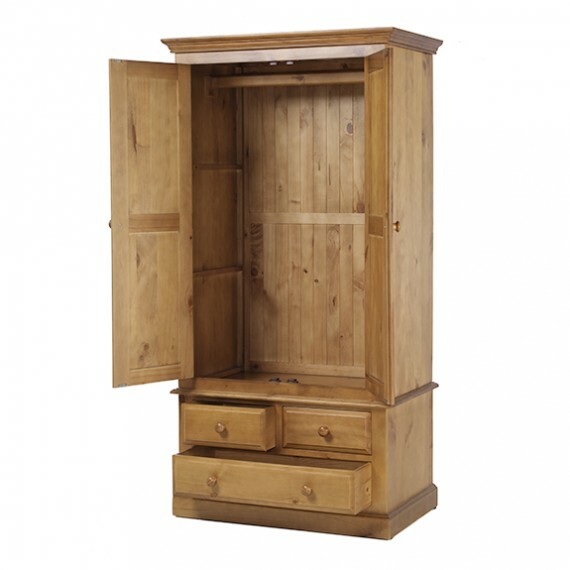 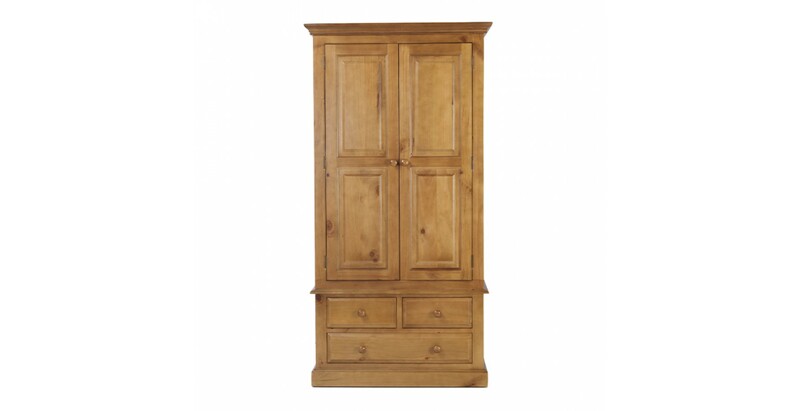 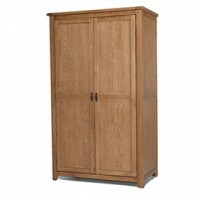 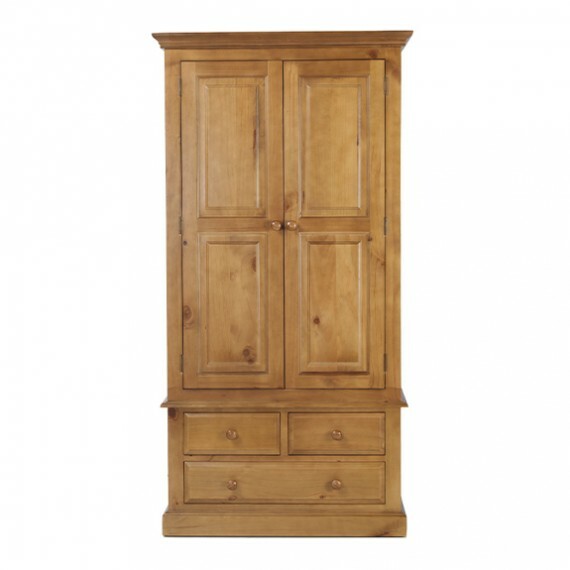 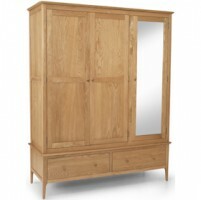 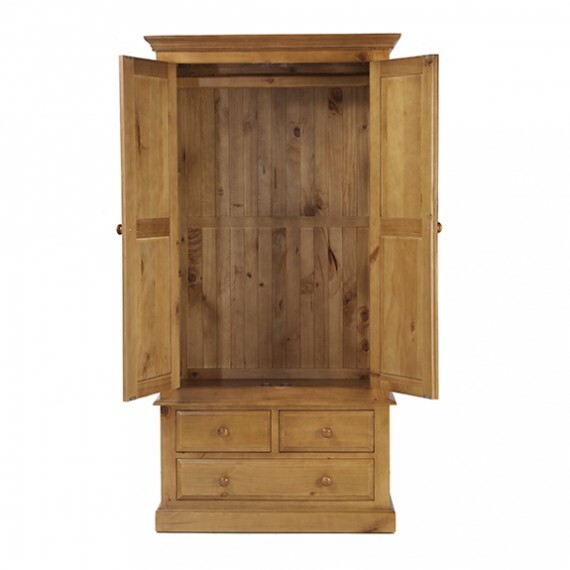 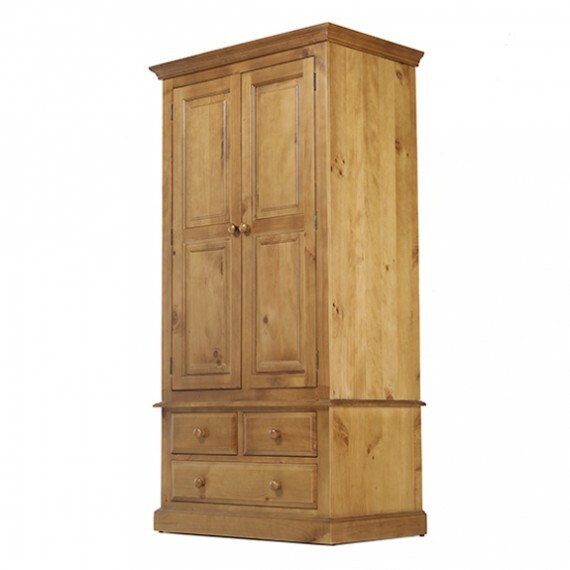 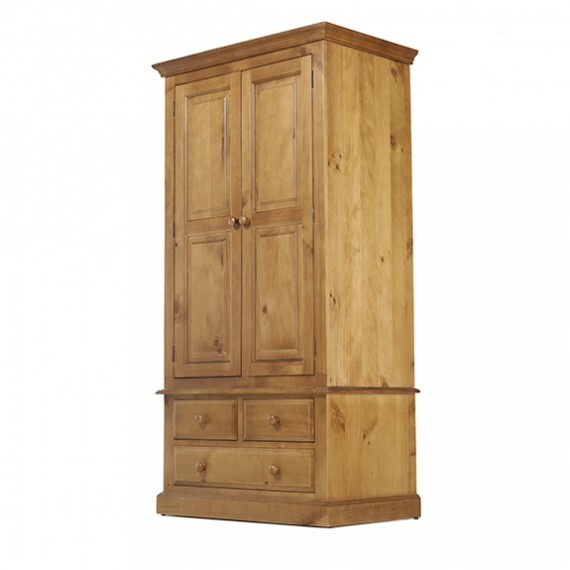 Beautifully made from solid pine and finished with a grain-enhancing matt lacquer that also highlights its other rustic knots and markings, this traditional, country-style piece also provides plenty of space for your clothes. 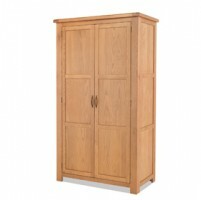 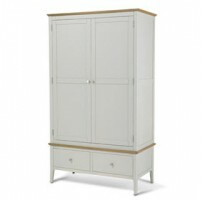 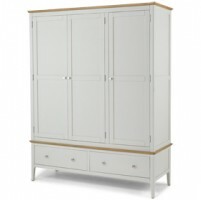 There is a full width hanging rail behind the panelled double doors, and underneath are two small drawers, ideal for socks and underwear, and one large drawer for bulky items.